You may have already heard that Pantone has officially announced the 2014 color of the year, radiant orchid. According to the leading authority on color, the shade is "a captivating harmony of fuchsia, purple and pink undertones, [emanating] great joy, love and health." 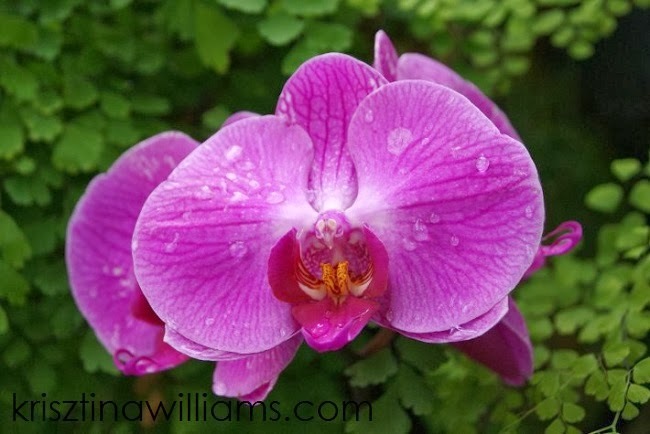 I'm sad to see the 2013 official color emerald go, though I am excited to see how radiant orchid will permeate trends in home decor, fashion, and beauty in the new year. It is a beautiful shade for a flower!